Extra virgin olive oil, or just olive oil. 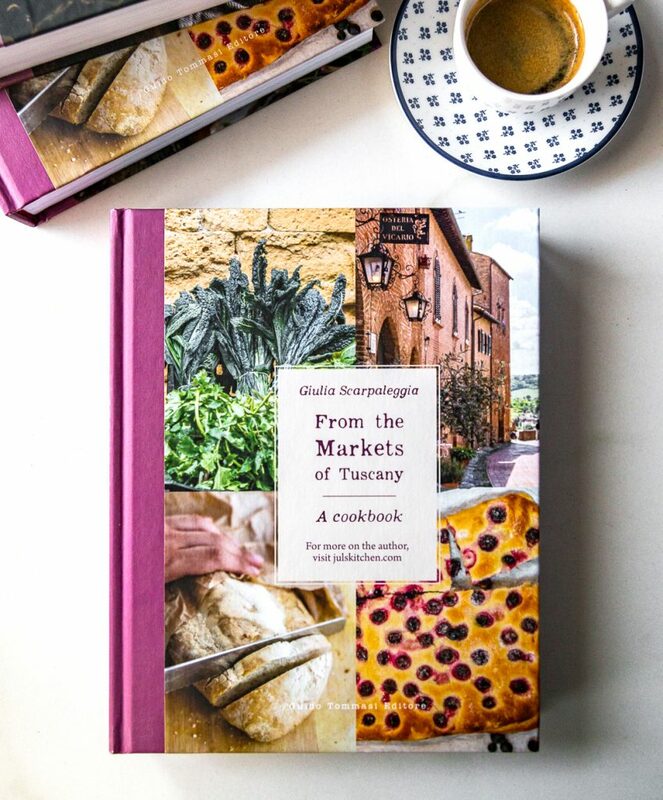 Hard to say what it is for me, what it means for our gastronomic tradition without falling into an elegy or writing a mini encyclopedia, with cross-references and footnotes. Perhaps, more simply, I would say that olive oil is for me daily life. It is the bottle that has earned the right to a place of honor in the cupboard. The bread and the olive oil when you feel rather peckish and want to end the meal with something comforting. It is a good drizzle of olive oil over a steaming hot vegetable soup or our pappa al pomodoro. I use it generously during my cooking classes, because the secret is all there. To paraphrase Julia Child, we could say that the olive oil makes everything better (of course the butter has its merits as well!). Besides the olive oil, the olive trees. 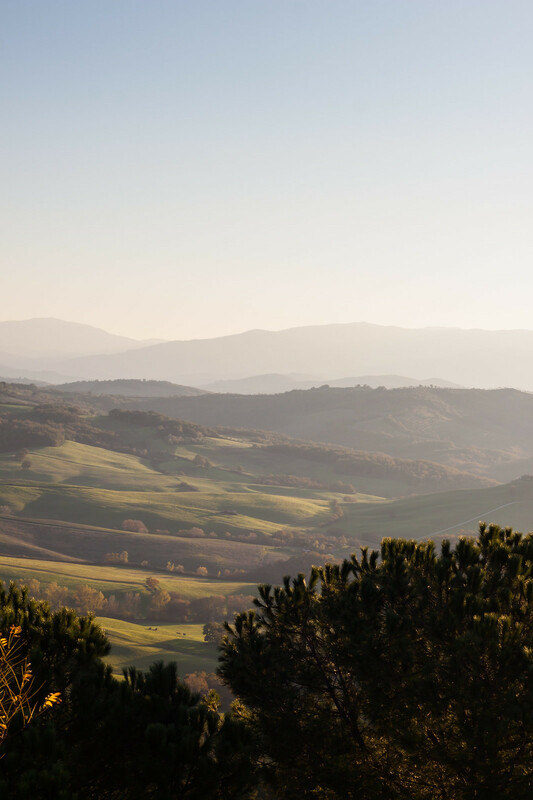 These are trees that may seem stern, though they generously make unique our Tuscan hills – and the Italian and the Mediterranean ones – creating a landscape that you immediately recognize as home. Gnarled yet elegant with their silver and bitter leaves, they are often ancient trees that have lived the history of our country, they embody symbols, traditions, legends, religious and pagan beliefs. The olive trees represent for us a symbol of peace, but they are also the tangible sign of the culture of the peasant labour, the patient work on a loved and beautiful landscape. So we tried. We love olive oil and we chose it as theme of our Italian Table Talk for this month along with olives and olive trees, since November is traditionally the month of the olive harvest and new leafy green olive oil. Undeniably a difficult task, but perhaps we can give you a little account of what olive oil means for us and the importance it has in our every day lives, not just in the kitchen. Emiko then offers us a tasty Tuscan dish, coniglio con le olive, you would want to lick the plate clean. Valeria makes a sauce from Piedmont, a comforting dream in the cold months, bagnet verd. Jasmine is instead offering us a sweet end to our virtual lunch, a Jewish crostata made with olive oil. As for me, I’ll tell you what my great grandparents used to make with a few black olives saved from the olive milling. – This year it yields of the fourteen. – I heard Giovanni’s olives yield of the eighteen! These are the speeches that you can hear at the olive oil mill, and they are always made in a low voice of course. But before you can get to the mill the road is long. 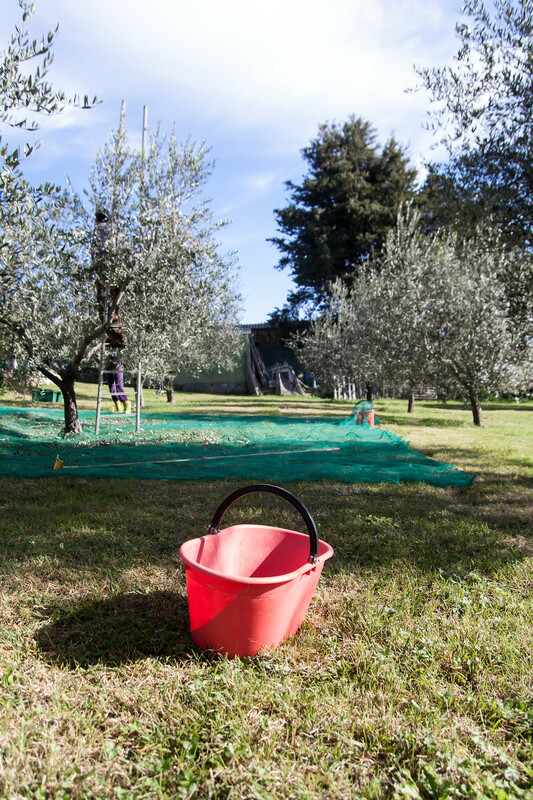 The olives are harvested by hand, at most with the help of a plastic rake with which you comb the olive tree branches so that the ripe olives fall to the ground on a net spread all around the trees. The olive harvest is less joyous and festive of the grape harvest, since outside the temperatures are already more rigid and often the wind makes you wish to be in a completely different place, not on a ladder with your head completely stuck inside the olive tree. 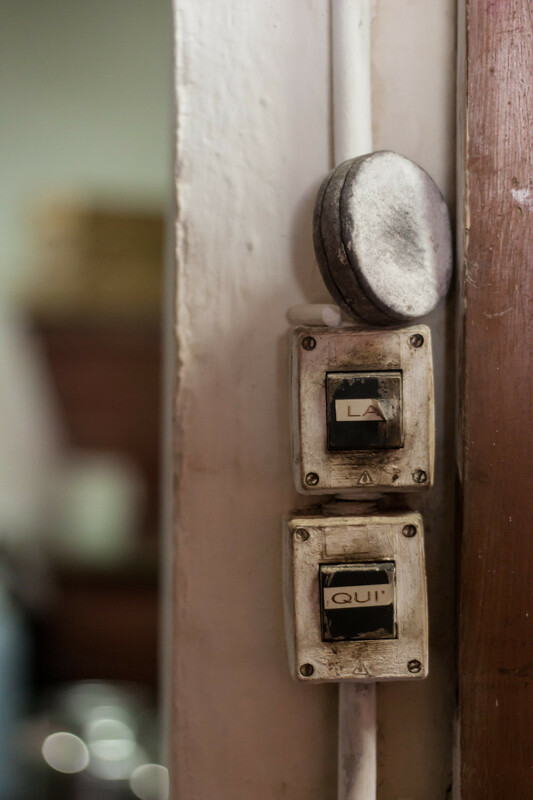 Yet it has its own charm, its fascinating tradition. I must admit I would rather spend the morning in the kitchen making bread soup and roast meat for the workers than balanced on a ladder, but from what my grandmother told me there were no discounts, when it was time to pick olives everyone was summoned, every day without rain was a good day if you wanted to finish before Christmas. 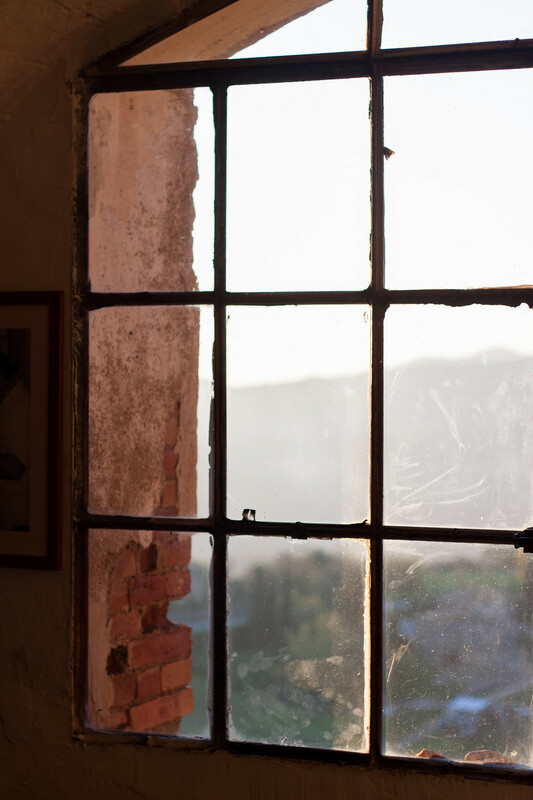 My great-grandfather Piero used to bring the olives to the mill of Casole with a cart and a horse and he would spend the whole day there, coming back really late in the night, to make sure everything was done properly. This year with dad and Claudia we went back to the same olive mill, a frantoio, filling up the trunk of our two cars. Modern times. Although times have changed, my dad spent the whole afternoon there, checking our olives, talking with the other people there, making the line waiting for our turn and enjoying a bruschetta at the end of the day. 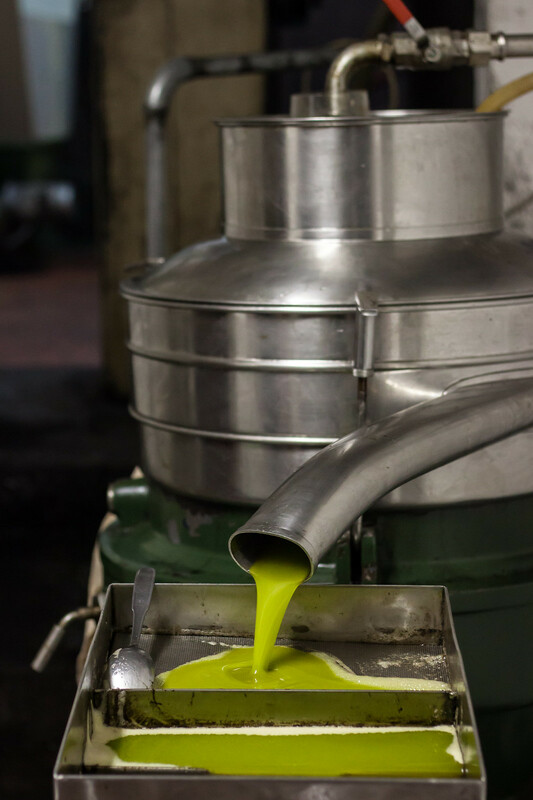 The olives are cleaned by removing the leaves, crushed and then milled, pressed to remove the water, and at the end of the process, after forty minutes, here you have your olive oil, green, dense, fragrant and unfiltered. 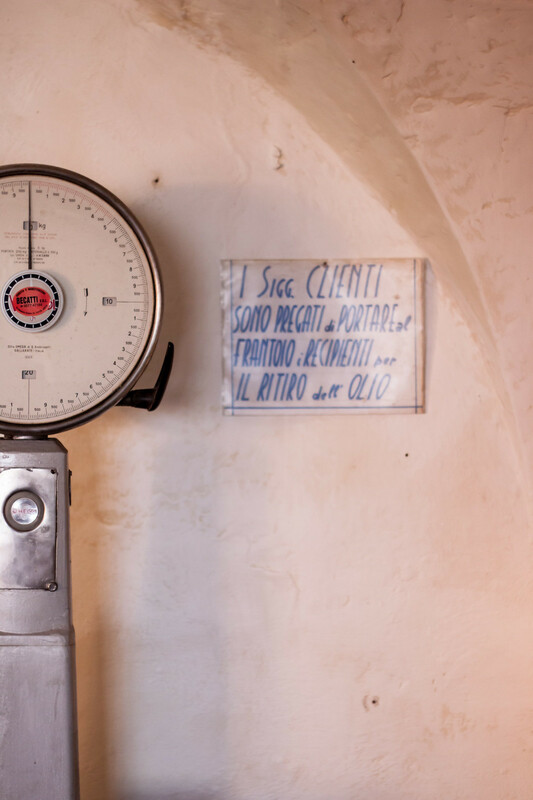 The first thing you think of is bruschetta, then immediately you take your olive oil and weigh it, to understand how much it yielded this year. This is where the strange and grammatically incorrect sentence comes into the scene, a most incomprehensible dialect expression. Quest’anno ha reso delle quattordici e quattro. 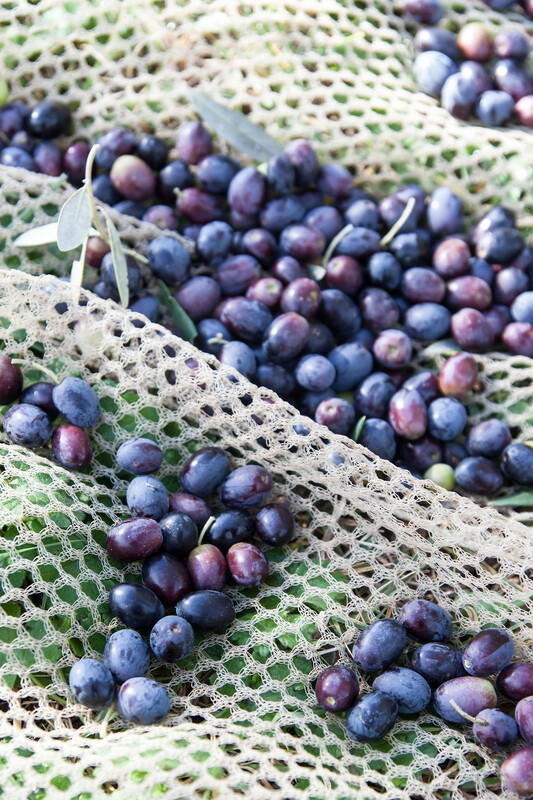 This year it yields of the fourteen and four, that is we had 14.4 kg of olive oil every ton of olives. I know, it is not correct, though if you don’t want to sound like a newcomer you have to use it, too. We brought home the olive oil, with no other definition or labels. It is the same that was happening with wine until about thirty years ago: it was wine, it was the peasants’ wine, red or white. Now everyone is talking about grape varieties, terroir, food matching… we should do the same with olive oil, we should be able to recognize the differences, to combine the olive oil just with the right dish, so that it does not cover the flavour of your dish with its spicy or bitter aftertaste, but uplifts it to another level of perfection. 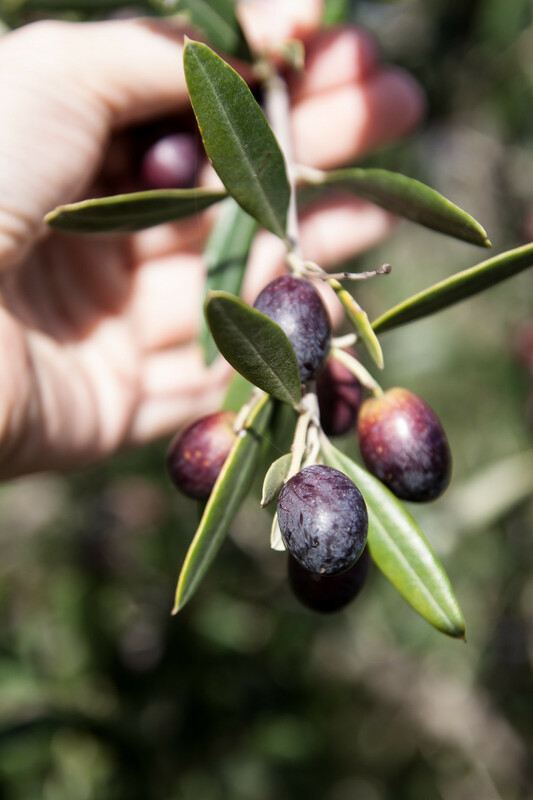 There are DOPs*, cultivars, different olive oils that have distinctly different aromas, colours and flavours. Just imagine, if you are well trained you can recognize and taste bitter almond, tomato leaves, freshly cut grass, artichoke… it’s a whole range of flavours that tickle your palate and enhance the food. 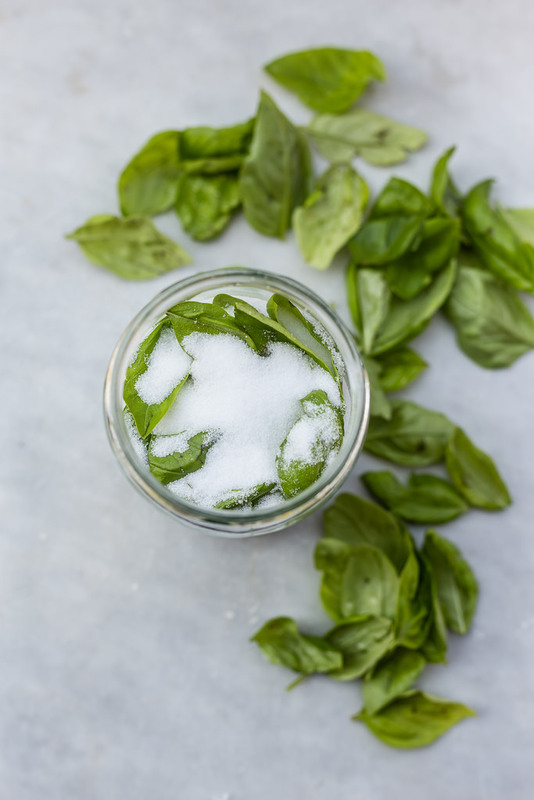 To quickly understand the differences, it would be enough to start buying a few bottles of good olive oil from different Italian regions, and see how it changes even the experience of a simple salad. I’ll say it once, and then I won’t say it again: my favourite olive oil is the Sicilian one, I have a soft spot for Nocellara del Belice … but try a also a Tuscan olive oil (you owe me), an Umbrian or an olive oil from Brisighella, the Apulian olive oil made from coratina (oh how I love it drizzled over burrata), a light Ligurian or another light olive oil from Lake of Garda … I stop here, but just name an olive grove region and you will have a great olive oil that is worth trying. * Denominazione d’Origine Protetta – is the Italian certification of authenticity of origin, valid for olive oil and many other products, such as cheese, salami… It is like the wine DOC. 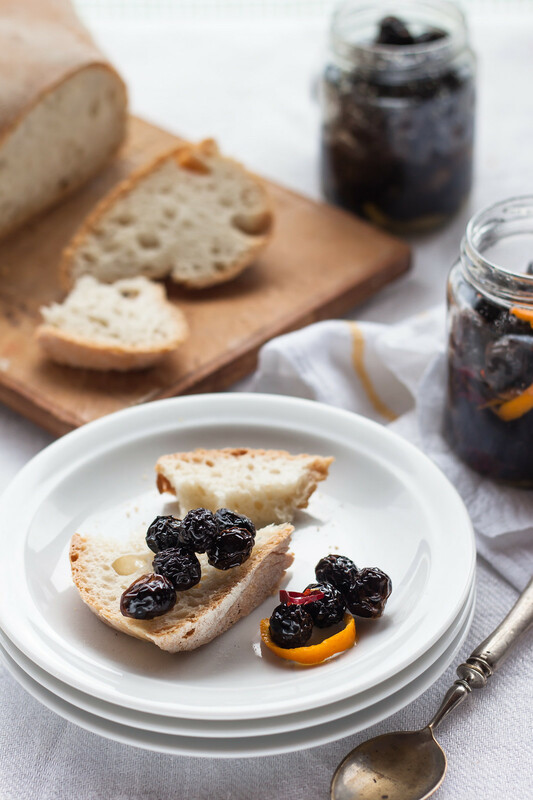 My great-grandmother would pick the best black olives during the olive harvest, then she would dry them in the wood stove oven and keep them in a paper bag. 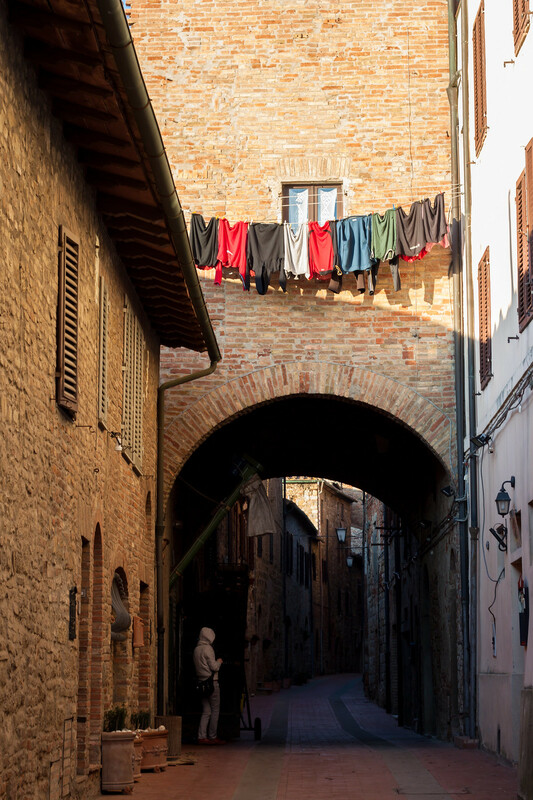 They used to eat the dried olives plain with a slice of crusty bread, it was a lunch that wouldn’t take away much time and that would give them enough calories to deal with the rest of the daily tasks. A neighbour suggested to my grandmother yet another method to preserve the olives: they not only were dried, but they were also kept in a jar with olive oil, which softens them a little bit, garlic, chilli and orange peel. It is apparently a Southern recipe, and you can actually recognize the warmth and flavours of the Mediterranean area. 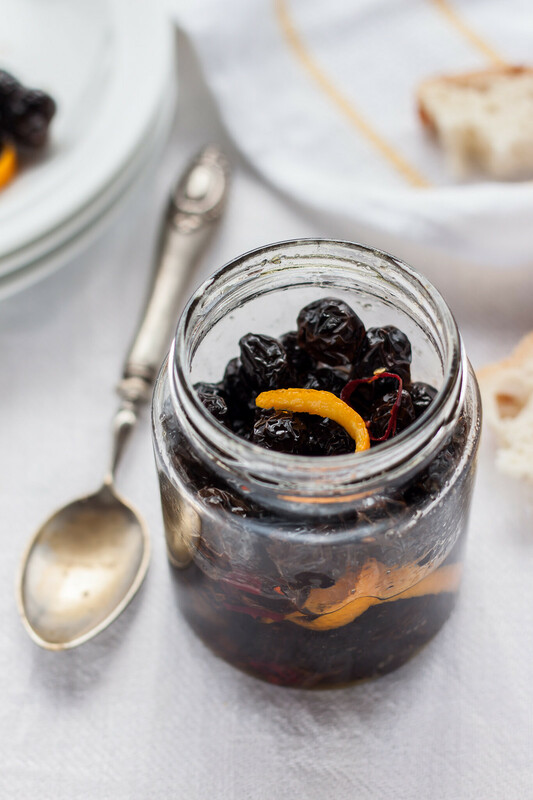 Keep some jars of dried black olives in the pantry and serve them as unusual appetizer along with a cheese board or use them to enrich a pasta dish, a farro salad in summer or a winter stew. Choose sound black olives, rinse under running water and put in a large bowl. Bring to the boil a large pot of salted water, then pour it over the olives and let soak for ten minutes, then rinse and drain. Arrange the olives on a baking sheet in a single layer and dry completely. You can place the tray next to the fireplace for a few days until the olives are completely wrinkled and dried or you can use the residual heat of the oven, after you baked a pizza, a roast or a cake for example. Alternatively, you can also turn on the oven and heat it to 100°C, then leave the olive inside until they are dry, as in the picture. When, after a few days, the olives are ready put them in a glass jar with a pinch of salt, thinly sliced chilli pepper, a clove of garlic and a few tablespoons of extra virgin olive oil. Close the jar and shake to evenly distribute the seasonings. Let it rest for a few weeks before eating, shaking often the jar. It can be stored for several months in the pantry. The hashtag to follow the conversation on Italian Table talk on Twitter is #ITabletalk (easy, isn’t it?). We are curious to hear your voices, to find out what olive oil is for you, if you have recipes to share or if you just love olive oil like we do! Beautiful words, gorgeous pictures and wonderful olives (I know I tend to repeat myself, but I only speak the truth ;-P)! Those are lovely flavors. Rosa, eheh, you made me smile! Lovely flavours indeed! Hi Gary, actually they are not at all bitter, the salt remove part of it! It all depends on your climate and if you dry them naturally or in the oven, so let’s just say: when they are ready! 🙂 Oh, Tavarnelle is not far from where I live! Guilia,are the olives pitted? And do you have to start with olives straight from the tree, or can I do this with olives from the store? Hi Sue, the olives are not pitted, but dried just like they are. I used olives straight from the tree, but I think you can find raw olives at supermarket, can you? Have a great week Sue! Wow!! This was a beautiful post, I really enjoyed it. Thank you!! Thank you Alessandra, so happy you like it! Wonderful story telling… I enjoyed reading it and I think I can feel the taste of this dried black olives in my mouth! Yum! Gorgeous photos! And I LOVE black olives! Hi Angie, thank you! I am a great fan of black olives too!! 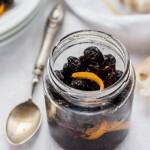 What a wonderful depiction of your grandparents past =) Such a lovely recipe! Thank you Peggy! It’s so nice to treasure their memories, and be able to taste what they used to love! this post made me want to fill up a wineglass with good olive oil and drink it! Can’t wait to taste you oil lovely… december is close! We’ll drink it and taste it, you’ll feel its incredible bite, so good on toasted bread, possibly rubbed with some garlic! so strange to read that olives are ready in March, every time I forget how seasons are the opposite down under! Have you seen the olive oil??? how beautiful, how biting it is now! Thank you Juls. What a simple and lovely way to put my mum’s tree olives in good yummy use. I just would have liked to know the amount of salt or I will just make sure water salty enough. I will surprise my family who absolutely love OLIVES but this recepie is probably the best for me soooooooooo! Thank you again. great! let me know how they turned out! I was wondering if its okay to use olives that have already dropped from the tree and are lying on the ground? ciao Shelly, they’ll have a slightly different taste, but it is completely fine to use them! I would love to do the dried olives. Just wondering how much SALT and how much WATER? Is fine sea salt ok? Thanks for your interesting olive post! Hello Brigitte, fill up with water a large pot so that it contains comfortably all your olives. Add a tablespoon of salt! 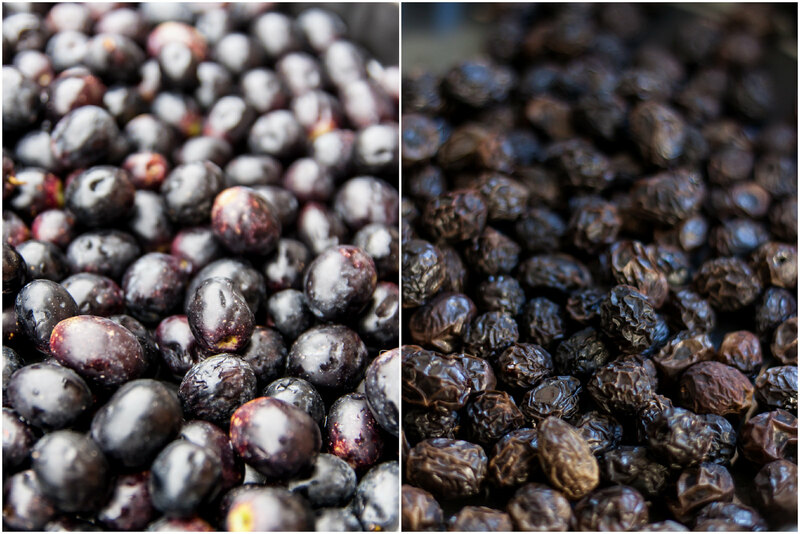 We are in the midst of experimenting with the dried black olives. This part of South Australia has an enormous amount of wild olive trees. Yesterday when we picked the olives we found so many different varieties, all growing next to each other. Will let you know how we get on after we try them in a few weeks time. Love these olives, found some at our fruiter, made them up yummy, thanks for sharing, my mother made these years ago never asked how she made them, she made them from scratch like your great grandmother did. so happy to hear! I need to make the again this year! 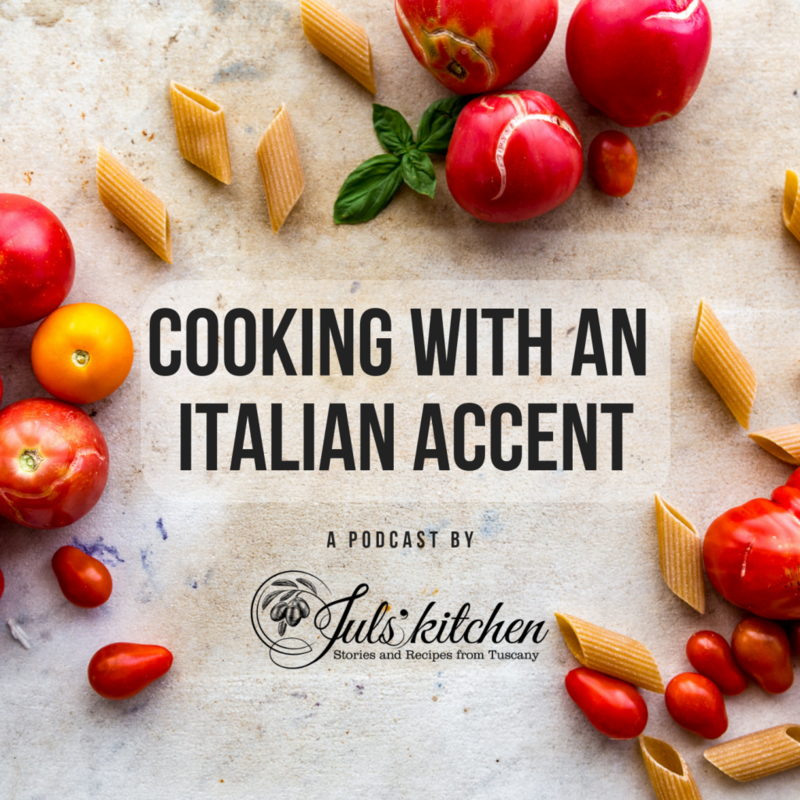 If you love everything about Italian food, big crowded tables and seasonal ingredients, join us and follow our podcast “Cooking with an Italian accent“. 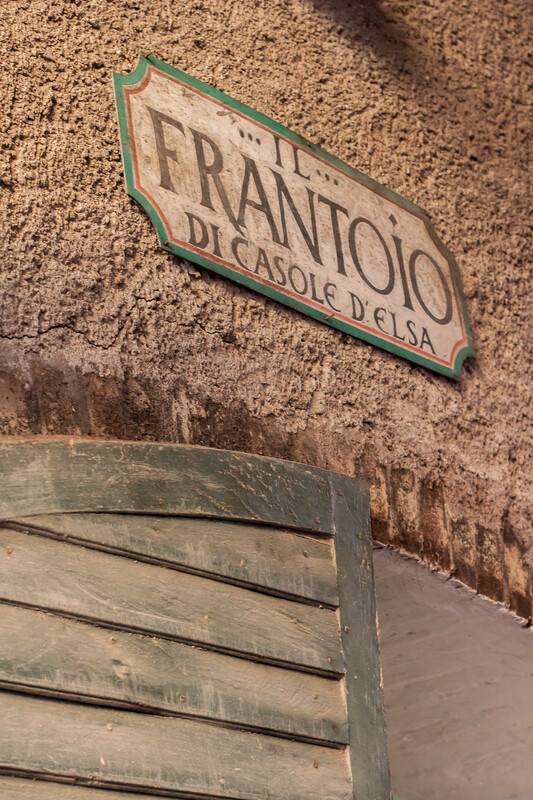 In each episode, we will talk about traditional food and the memories it stirs up, we will meet friends and producers and we will build up an appetite for Italian food. Read more about the podcast HERE. > Listen to “Cooking with an Italian Accent” on Apple Podcast if you use an Android phone.